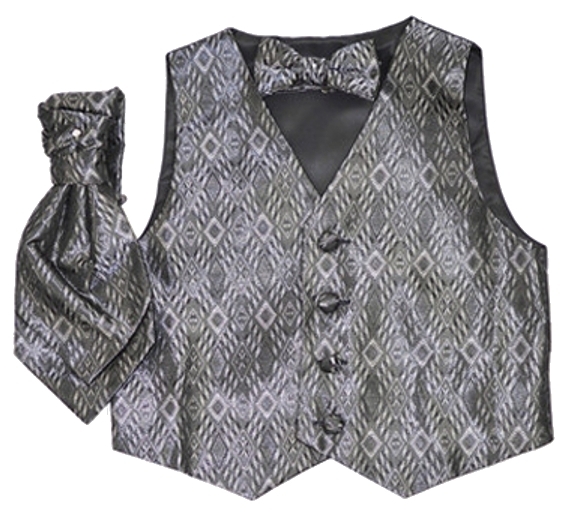 DapperLads - British Vest w Ruche Tie Cravat - Charcoal - English & Full Dress Vests - English vests with ruche ties. Rugged Butts formal vests, argyle golf sweater vests with argyle knee socks. A 3 - piece vest set. The fancy and unique British style of these vests and ties makes them a hit for special occasion boys wear. A rich dark charcoal diamond pattern matte satin. 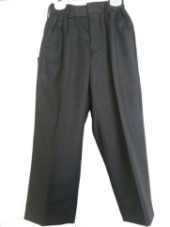 The back is a solid pewter 100% polyester. Includes a pre-tied scrunchy cravat / ruche tie plus a matching bow tie. From A.X.N.Y.